Antibiotic resistance in pathogens is surfacing at an increasing and alarming rate in hospitals and communities around the world. My research has primarily centered on microbial diversity, microbial secondary metabolites production, and searching for potential natural products and bioactive compounds. 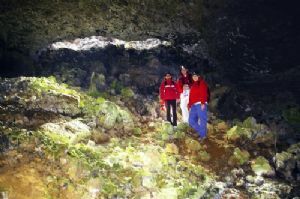 Research questions our group is after for answers have focused on whether new drugs with different mode of actions and with new scaffolds can be found in rare/less-intensive-studied microorganisms living in extreme habitats (i.e., in caves)? Besides, my own disciplinary research in cave microbiology and antibiotic resistance mechanisms, I am very much interested in how students learn and pedagogically what can help them understand microbiology. In 2009, I was selected as one of the biology research residency scholars in the ASM/NSF Biology Research Residency Scholars Program and participated in an NSF-sponsored residency to improve my understanding and practice of evidenced-based teaching and learning. This undertaking is a multiyear leadership program for college/university biology faculty to bring about reforms in undergraduate science education and it focuses on developing biologists’ knowledge and skills in evidenced-based research in learning.